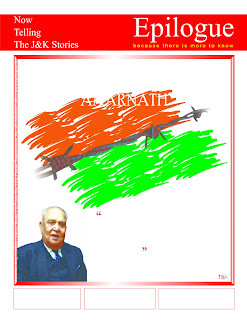 In June-July-August 2008 Jammu and Kashmir was at face to face with a worst crisis of the history. Earlier the troubles have been involving regions this time religion was at the center of controversy. Truth was the obvious casualty when all parties involved fought pitched battles with state on streets and in the media. We carried a complete backgrounder in July issue and wrote an elaborate account of politics mixing up with religion. Then Governor Gen SK Sinha was in the line of fire. He gave a detailed interview to Epilogue –the only occasion he spoke to any media outlet before demitting Raj Bhawan office.